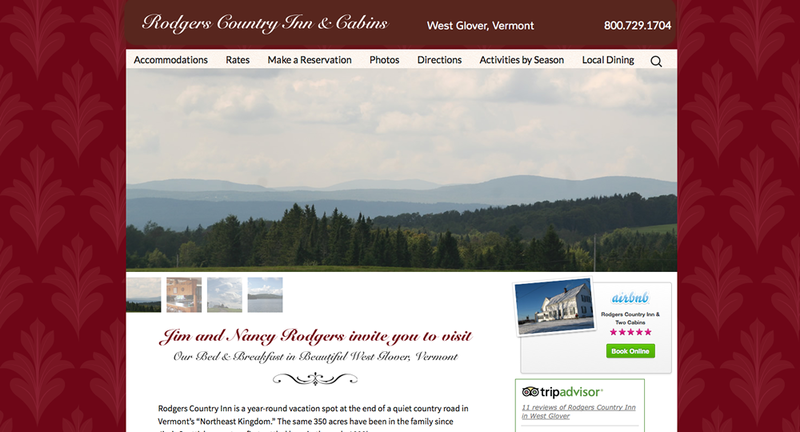 Rodgers Country Inn is a year-round vacation spot at the end of a quiet country road in Vermont’s “Northeast Kingdom.” The same 350 acres have been in the family since Jim’s Scottish ancestors first settled here in the early 1800′s. This entry was posted in Vacation Rentals & Real Estate. Bookmark the permalink.